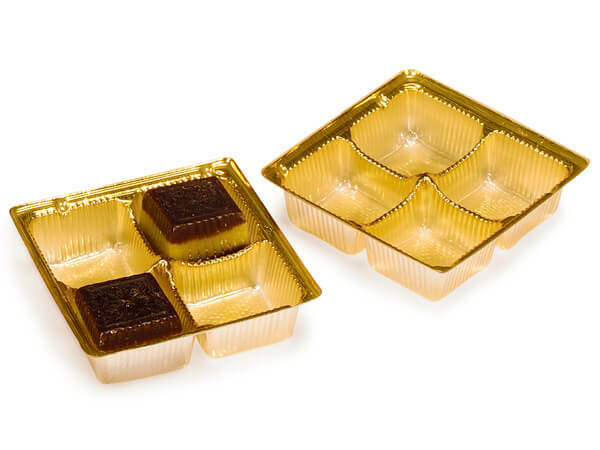 500 pack 3-7/16x3-7/16x15/16" Square Gold Candy Trays fit our Small Gift & Gourmet Boxes, Small Gourmet Rigid Boxes, Size #20 & #21 Jewelry Boxes & Petite Gourmet Presentation Boxes. Trays have 4 sections. Complies with FDA regulations for food packaging.